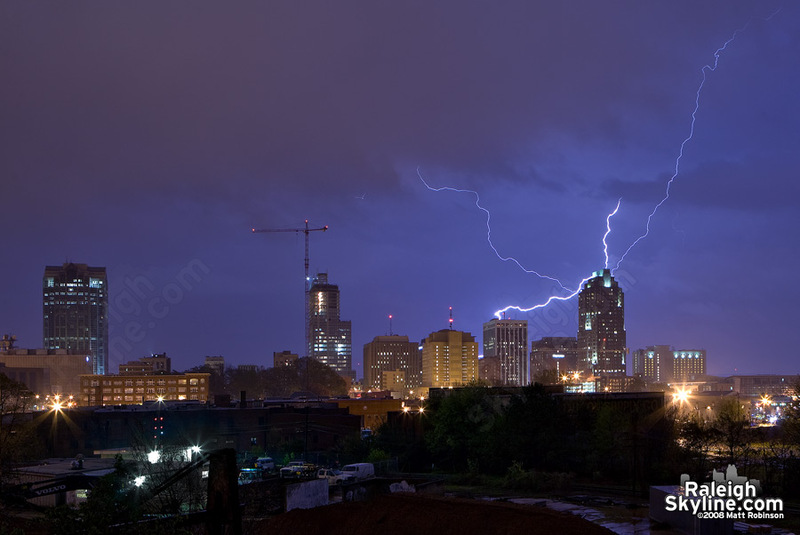 I caught a couple lightning bolts over the Raleigh skyline from the thunderstorms this evening. I didn’t anticipate the storm tonight so I got soaked with no umbrella while my wife sat in the car. 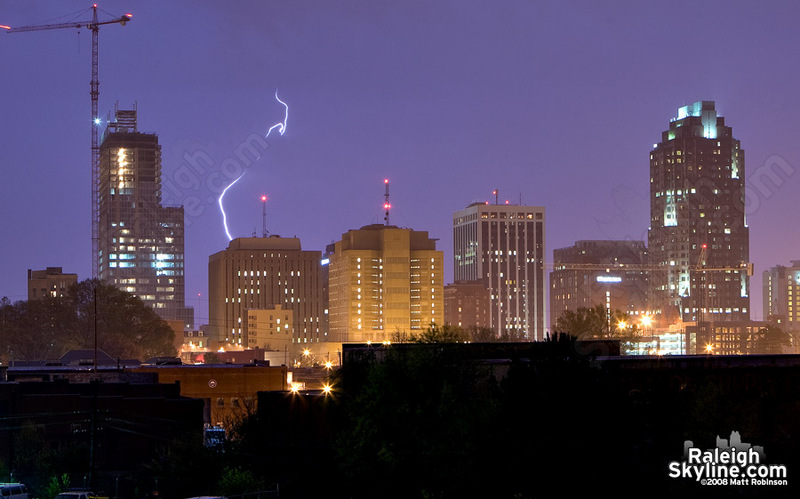 City Lightning over downtown Raleigh from the Boylan Avenue perspective. A more distant but intense strike behind the city, diffused by the rain.